Nordstrand Pickups offer bass and guitar pickups, custom basses, electric guitars, and a full repair shop! 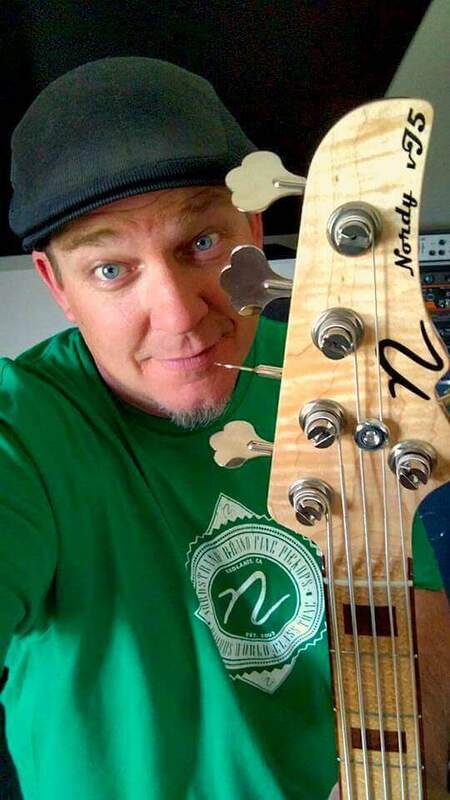 Founded by respected bass guitar maker Carey Nordstrand in 2005, Nordstrand Pickups offers innovative designs rooted in traditional tried-and-true methods and materials. The excitement comes from always pursuing something new. I’m a deeply curious person by nature and I get pretty worked up about new products and the possibility of helping create tones that have never been heard before. AI – Hi Carey! 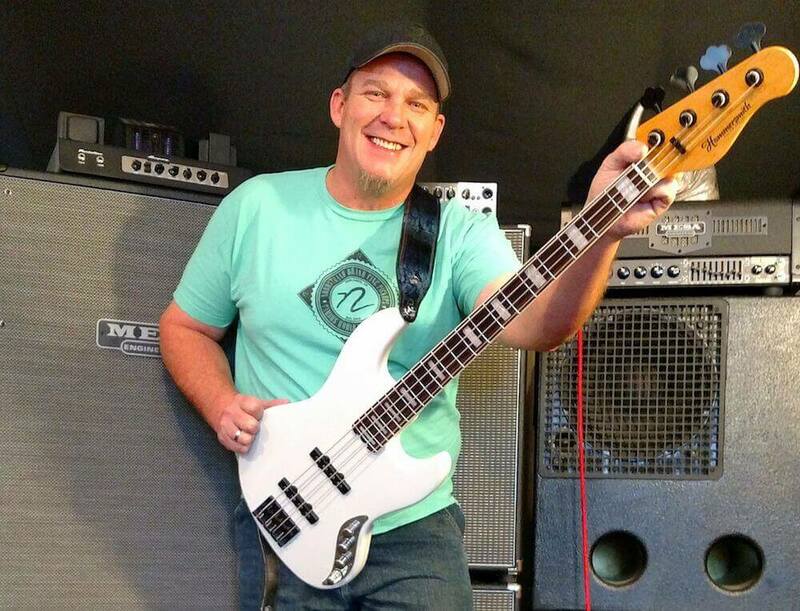 Thanks a bunch for taking your time to chat with me and the readers at Andy’s World of Bass. Let’s start at the beginning, will you please tell us how you first got into music, playing bass and about your earliest experiences as your passions for playing developed? CN – One of my most powerful early memories of music involves me moving my parents home stereo speakers in such a way that they were facing each other just far enough apart for me to sit in between them. I put a Bee Gees record on the turn table and lowered the needle. The music hit me hard and went deep. It was as if I couldn’t get enough. Around that time, in the 4th grade, I started playing alto saxophone in school. Also took lessons. A little later as I entered my teen years I got deeply into Genesis and Phil Collins. I found a sense of connection there that I really needed at the time. It’s a tough age. I played sax until I went to a Kenny G concert and had my face peeled off by Vail Johnson. Shortly after that I traded that sax for a bass. By that time I had missed the high school experience of playing with friends after school so I never really got much experience in bands. Also, I was painfully insecure and terrified of taking any risks. But that’s a story for another interview. Anyway, I finally played my first real gig as a bass player about 2 months ago. There’s a lad that works for me (Michael Lodge) and he’s quite a singer songwriter. His drummer is crazy good and I couldn’t pass up the opportunity to be a part of that. So we’ve been working up his songs and we’ve also been in my studio recording them. Looking forward to releasing a 6 song set shortly. I might take this opportunity to talk about my studio and how it’s the realization of really what amounts to a lifetime pursuit of a space filled with the right gear to enable me to really get into music on my own time. It’s been together now for about 2 years and it’ vastly expanded my musical existence. I guess there’s something about music, at least music that somehow mysteriously resonates with me, that pulls me in like a tractor beam. It’s really one of the prime gravitational forces in my life and I have no choice but to be a part of it. Learning how to access my authentic creative flow has been my main pursuit in my spare time over the last several years. I’d like to really be able to share who I am through my music and see if I can find people who it resonates with. 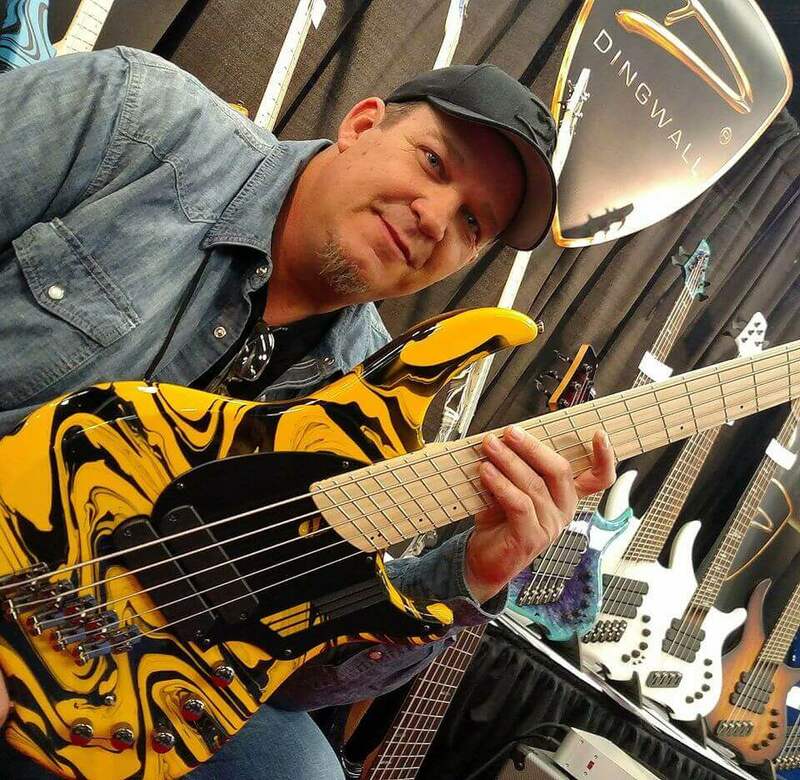 AI – You’re custom basses are widely sought after and you’ve developed an incredible reputation for quality, detail and creativity in your designs. 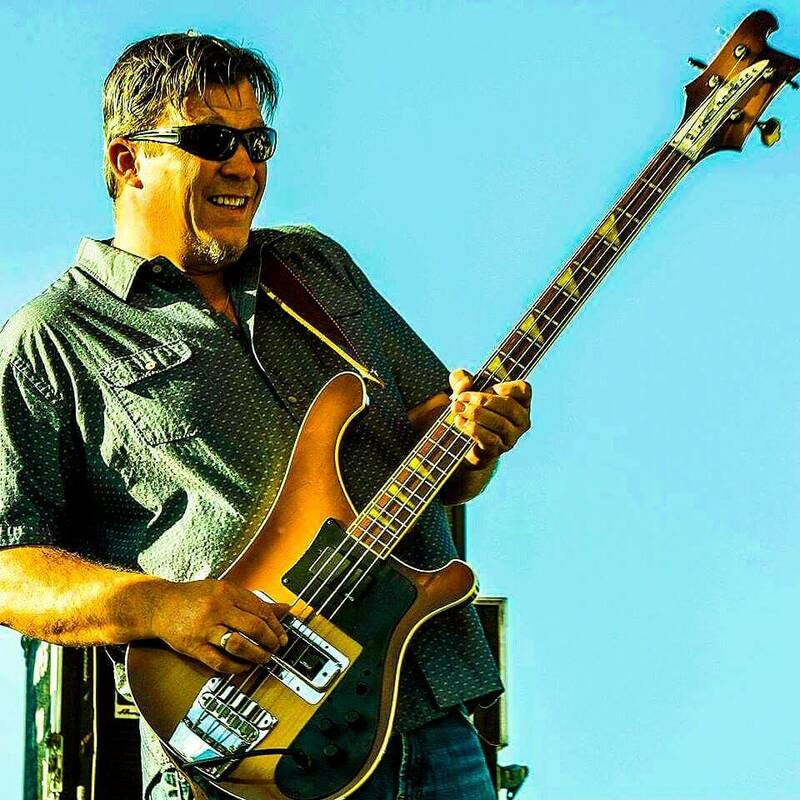 Will you please share with us some of the goals and the challenges you faced launching and growing successful boutique instrument brand, and the primary goals you set for yourself with the basses you’ve built? CN – Well, I guess I had a few things I wanted to achieve when I bought a house, set up my shop in the garage, and quit my job at Suhr Guitars. One, I wanted to make myself a killer bass. Two, I wanted to show that I could make basses at the very highest level. The ego was powerful when I started. 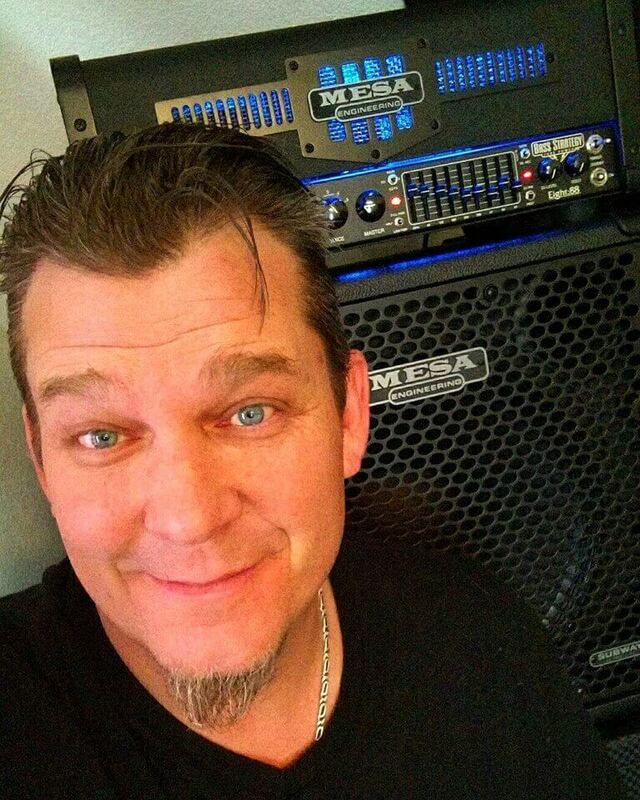 I wanted to be mentioned in the same breath as MTD, Fodera, F Bass… I think I did pretty good at that and within a few years felt that I’d gotten to that level, at least in terms of craftsmanship. It takes a LOT more than that to sustain a company selling basses in that rarefied air. Regarding the first item, I find it ironic that I really couldn’t afford to own one of my basses until only a few years ago. Building high end custom instruments is a very tough road and when you’re constantly on the financial razors edge it’s just not realistic to keep a bass around that can be sold to generate funds to help keep the lights on. Anyway, it’s very hard to make any money selling high end basses. And to be honest, I’m not sure I ever did. But I somehow managed to keep it going for 13 years. I have had a handful of talented folks helping me build them from time to time, but the numbers just never seemed to add up. So finally, a couple months ago I decided to stop taking orders for basses. The pickup business has grown to such a degree that it requires a lot more of my time than it used to. Also, I really want to focus all my energy on it and explore how far it can go. I never seem to run out of ideas, either for new pickups or other bass related things. AI – You have established an incredible pickup and electronics range that is ever growing, both in worldwide popularity among players, and in the amount models you offer. You’ve indicated that due to the growth of your pickups side, you have decided to discontinue taking custom bass orders to focus your energy on developing that side of your company fully. How do you feel about the demand and the acceptance, or your designs? and do you find excitement in it all amidst the daunting tasks, and no doubt, expected growing pains? CN – I’m absolutely thrilled that our products are in so much demand and loved by players from all levels in our industry. Its quite humbling when I really think about it. I never could have dreamed things would go as well as they have. That said, it has certainly been quite a ride with wonderful highs, like the time Roger Sadowsky called me and wanted to try out some pickups (which lead to an OEM manufacturing arrangement that continues to this day), and really tough lows. Last year was one of the toughest we went through. Ibanez retooled their lineup and we had to deal with effectively zero orders from them over the course of the whole year. I had to lay off a couple guys and we had to really focus and figure out how to run very lean. But we survived. And this year is the polar opposite and I can’t seem to hire quickly enough to meet demand. Also had to buy another winding machine making for a total or 5 winding stations. It’s crazy. And we have some new products coming out that will hopefully help us keep growing. Big Blade single coils, Big J Blades (which are a version of the Big Blade that fit in J covers), and I think I’ve finally got my hum canceling Big Blade sorted out. Was just testing them again earlier today and they sound killer! I’m also working on a new hum canceling strat pickup idea that could be a game changer. Can’t talk much about that right now because we are going to go for patent protection, but it’s a really cool innovation that I came up with about a month ago. If I get it right it will be a big deal. I guess the excitement comes from always pursuing something new. I’m a deeply curious person by nature (and nurture – but that’s another story) and I get pretty worked up about new products and the possibility of helping create tones that have never been heard before. And I love testing the new stuff in my studio and then using it in my songwriting and recordings. AI – For my final question I would like to ask you about your production and staff. As a company owner you have so many things to manage, but perhaps the most important is the people that work with you, your team. You mentioned that you pay health insurance benefits for your employees, which is a very nice consideration these days. Would you like to tell us about some of the people on your team working daily to grow the Nordstrand brand, and share your goals of growing your future team? CN – I have a wonderful team of guys here. Stew McKinsey has been with me the longest and he’s a treasure. Rock solid. Adrian Smith basically runs the show and makes sure it all runs smoothly. John Contreras manages the production environment making sure everyone has what they need to be as efficient as possible. Also handles QC. Great guy. We have 3 guys that wind full time, Clinton Sparks, Michael Lodge, and Tyler Zurcher. My nephew Ryan Warrick has been here a long tome and he winds on a part time basis while he attends a local college. We just hired Andrew Reid and he grinds magnets. A LOT of magnets. He’s been doing great. I also have a bit of help from my buddy Devin Cline who helps with developing the new pickups. Super talented dude. Also makes incredible high end custom knobs. Those guys are all involved in pickup production. Best crew I’ve ever had. On the instrument side of things I have my sidekick Maurilio Mina. He does repairs and also assembles basses when the parts come back form the painter. Super highly skilled guy and invaluable to me. All in all I consider myself blessed at this point in my career. Things are going extremely well and I’m grateful to a bass playing community that has really embraced who we are and what we do. I’m very excited to see what the next five years brings. Great interview Andy. I love Carey’s passion and enthusiasm, not willing to give up when the going gets tough! Whilst fine tuning my basses on the weekend I had a couple of thoughts about pick-ups that may be appropriate to share with Carey. I set the pick-ups on my five-string basses 2.5mm from the B string, and 2mm from the G string. As you know distance makes quite a bit of difference to the gain, so it’s annoying that the distances to the E, A & D strings are not ideal. Does anybody make Bass pick-ups that follow the curve of the neck? And secondly, why don’t more PU manufacturers house them in finger ramps? I play over the double-J pick-up on my Infinity and miss it on my (single-J) Corvette. Fine tuning the pole piece radius is a tricky thing. 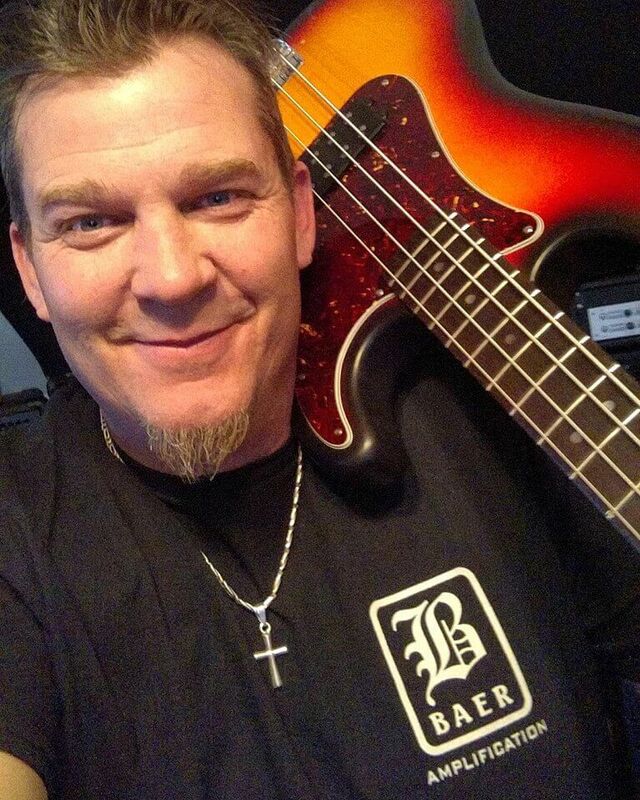 Not all basses have the same radius so there’s really no way yo get it right for everyone. We try to find a happy medium in the hopes that it will work well for most basses and honestly this has worked fairly well as we very rarely get complaints about string balance. Also, the way the pickup is made has a big impact on how we decide to stagger pole pieces. Single coils usually work great with flat poles until you get down to 9″ or so. So with our NJ4 single coils you can get them with 7.5″ stagger. Also, when we do split coils we have to stagger the poles to compensate for the null space in the magnetic field between the coils. Getting things to work right for most basses is probably the trickiest part of finalizing a pickup design. I’m not aware of anyone that makes aftermarket pickups that have a radius built into the cover. Again, it’s impossible to make a one size fits all version and bass makes use all different kinds of radii on their instruments. thanks for posting the interview. I admire what carey has built, and am a lover of his pickups. i have tried pretty much all of them, and my favorites remain the big splits (for jazz bass) and the Np4a (for p-bass). i finally found pickups to reproduce the sound in my basses that i have in my head…a’la “that’s what a Jazz bass should sound like”. And i am a committed user of Mo’s repair/mod shop services, a great asset to the nordstrand shop. keep up the good work! he didn’t talk about grilling/smoking though, which must be fodder for another interview at another time.